- Pretty spacious bar for once! Plenty of seating, big counter area and an all round pretty big complex. Seating for about 50 altogether. The brewery is out the back and there’s a beer shop and a whisky shop too. The bar area has a US feel to it, but I may have just been influenced by the sofa with a big Stars and Stripes on it. There's also a patio area, but this is apparently only for use in the daytime and very early evening because of the neighbours. - A massive 22 taps of beer, divided into two menus, one of which was for beers made on site, some of which were collaborations and the other was for guest beers, (a mix of imports from Italy, Germany and the US, along with a couple from Devil Craft). The beer menu was also displayed on video screens so you can’t say you don’t know what’s on. Beers are served in pint and half sizes (US measures). 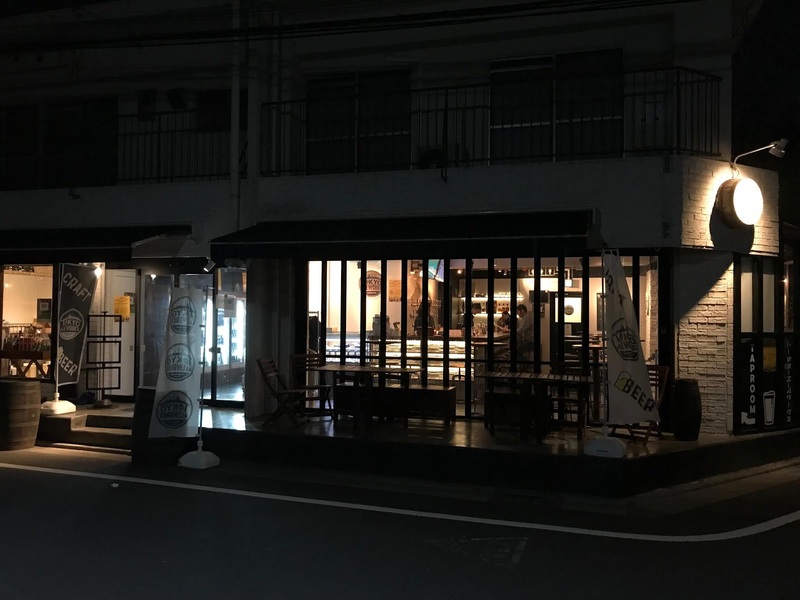 For the beer made on site, the prices range from ¥700-¥750 for the half and ¥1100-¥1200 for the pint. The guest beers come in at slightly more, ranging from ¥700-¥900 for the half and ¥1100-¥1400 for the pint. There are also beer flights available. Chose any four house beers for ¥1500 or any four guest beers for ¥1600 with the measures being 100ml. One really nice thing was to see so many different beer styles available on one tap list as this is something you don’t always find. Apparently you can also drink the bottles they sell in the bottle shop with a small corkage fee (thanks to James' comment below for that information). - No cover charge, no smoking, wifi and some daytime opening (although they close between lunchtime and the evening on weekdays so beware. The staff were very friendly and helpful and the place had a nice atmosphere. It also seemed they could speak English as they were chatting with a few foreign customers. I’ll definitely be back there soon. The food menu looked nice too, but I didn’t eat anything on this visit, so for now we’ll just have to go on how nice it looked in the descriptions. I have to say, I feel a bit ashamed that I didn’t make it here earlier and consequently now am doing my best to tell everyone I know about it. This was a fun place to drink, the selection was really good and the beers I had were very nice. I know this post sounds ridiculously positive for me. It was such a nice surprise to go somewhere new that was actually nice and offering something a little different from usual. Guess we all had better go there soon and often. I read your review and managed to hold out for almost 24 hours before I just had to go. Like you said, it's not so for off the beaten track. Only one station (3 mins) from Ikebukuro on the Saikyo line. I had 6 of their own beers and was impressed. Lots of variation and cooperation with some other breweries too. Randy (who will be known to Japan residents and frequenters at Hangover, Devil Craft and Hop Scotch) and Bob seem to be behind their own beers and, like I said, I was impressed. I've never met Bob but I feel I know him at least a bit through the beers and I hope that he and Randy continue working together. Definitely a good team. There is also a fridge full of beers (100 yen extra to drink in). Some were their own and some unusual ones. The guest beers were good too the burgers were fantastic. I'm certain this will become a popular weekend lunch spot and night time hangout. Like you said, the staff were very friendly and that always makes a big difference. 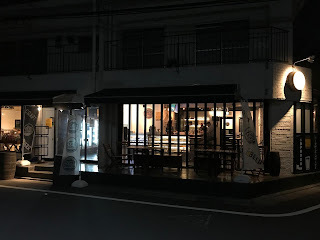 Tokyobeerdrinker rarely gives such positive reviews but I liked this place as much as you seemed to and will definitely be back, although for the sake of my health, I'll wait more than 24 hours this time. Cheers for the comment and cheers for the extra information. My visit was a flying one so will definitely go back soon for a decent session there!